Copyright © 2004-2010 GREE,Inc. All Rights Reserved. 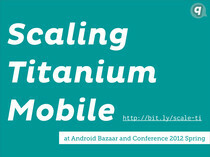 How does Titanium Mobile work?